Calvin Verdonk comes from the Feyenoord Rotterdam academy, known as one of the best in the world. Despite his relative lack of height, he is a wonderful centre-back, making up for his physique with a great leap and speed. He is known to be good with the ball at his feet, great shot from distance and very good set pieces, including penalties. 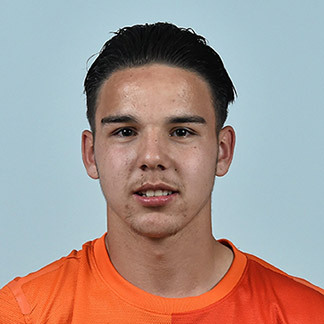 Thanks to these attributes confirmed by great games in the youth Feyenoord teams, he went to UEFA Under-17 Championship 2014 in Malta, where he formed a great partnership with Keziah Veendorp, and scored 3 goals, which is a fantastic result for a defender.